Are You Shopping Around for Implants? If you’re shopping for the best Boston dental implants price, there are some things you need to understand. The first is that all dentists want their patients to receive the highest quality treatments that will last and most closely mimic the natural function of their healthy teeth, but we don’t want patients to receive treatments they don’t feel comfortable financing. At Brooks Dental of Winthrop, we work hard to keep our treatment costs reasonable, and that includes providing dental implants at an affordable price. Before we begin your dental implant tooth replacement plan, we will carefully explain pricing and out of pocket costs associated with it. Our team is happy to offer a number of payment and financing options to fit the out of pocket costs into your budget. 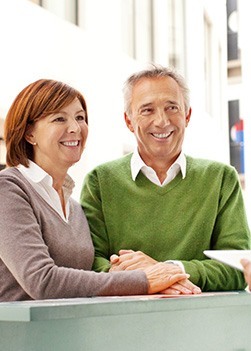 If you have questions about dental implant costs or any aspects of this treatment process, call to schedule a dental implant consultation with us today. 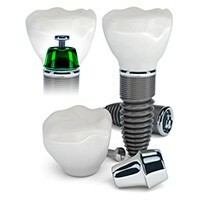 The cost of a single dental implant post can run between $500 and $3000 depending on the material used, size of the implant, and the type of implant post. Luckily, many manufacturers offer patients discounted pricing if they need more than one implant post. What Affects the Cost of Implant Tooth Replacement? 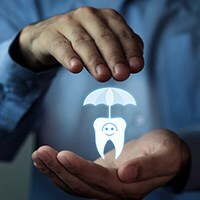 In most cases, dental insurance does not cover the cost of dental implant posts or their surgical placement, but you will likely receive dental insurance coverage for some other aspects of your treatment plan. Many dental benefit plans provide coverage for preparatory tooth extractions and grafting, sedation dentistry, and your replacement tooth or teeth. We will help you to maximize this coverage to ensure you have the lowest possible out of pocket treatment costs for your entire treatment plan. 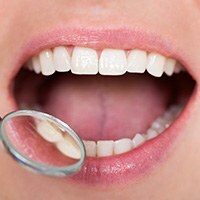 How Does the Dental Fee Plan Work? We are happy to offer many patients financing through our Dental Fee Plan. With pre-approval, this plan can be a great option to help patients spread the cost of their implant supported tooth replacement plan out of over several months. Additionally, we are happy to work with third party financiers that specialize in providing low and no interest payment plans for qualified patients. Please don’t hesitate to ask about the Dental Fee Plan or third party financing during your consultation visits. 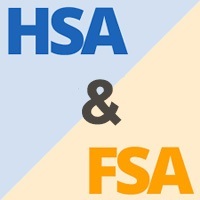 Can I Use My FSA or HSA funds for Dental Implants? We are happy to accept payments from flexible spending accounts (FSA) and health savings accounts (HSA). If you have one of these accounts through your benefit provider, let us know when we are planning out your payments, and we will be happy to help you put these monies to their best use to offset treatment costs.